Multiple of 19 sts. All even rows are purl to end. 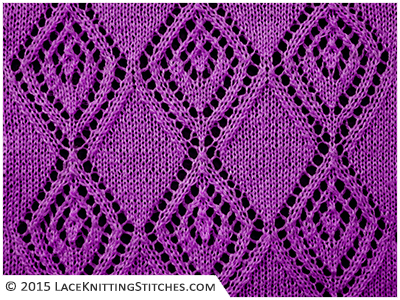 - Sk2p: Slip stitch as if to knit, knit 2 stitches together, pass slipped stitch over..